British Airways unveiled its new business-class seat, called Club Suite, and confirmed this upgrade will arrive on the first of its A350 aircraft in July 2019. Club Suite provides direct-aisle access, a suite door for greater privacy and flat-bed seats in a 1-2-1 configuration. 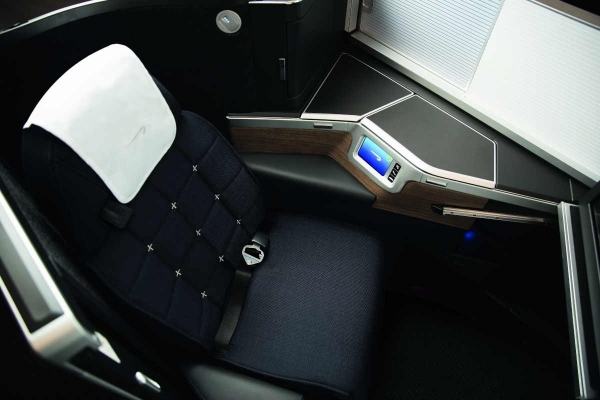 British Airways continues to explain its new business-class seat holds 40 per cent more storage, including a vanity unit and mirror, WiFi, inflight entertainment screens of up to 18.5-inches (depending on aircraft), high definition gate-to-gate programming, and PC/USB power. “The arrival of our first A350 featuring our new Club Suite is one of the most exciting developments in our £6.5 billion investment program,” said Alex Cruz, chairman and CEO, British Airways. As part of British Airways’ £6.5 billion investment, the airline is also delivering changes to its First, World Traveller Plus and World Traveller cabins, delivering new catering from Do&Co, Wi-Fi enhancements and opening new lounges across the world. New routes being launched this year include Osaka, Pittsburgh and Charleston. Over the next five years British Airways will take delivery of 72 new aircraft, including four new types: The Airbus A350-1000, Boeing 787-10 for long-haul as well as A320 and A321 Neo aircraft for short-haul. In addition, the airline also recently placed an order for 18 Boeing 777-9 aircraft. Over the last four years the airline has taken delivery of 57 new aircraft, including A380s and Boeing 787 Dreamliners. By 2020 British Airways will have received 100 new aircraft in less than a decade. The A350 aircraft is designed for reduced noise levels with high ceilings and new ambient lighting, as well as what British Airways describes as higher levels of humidity and refreshed air as the cabin pressure is equivalent to an altitude of just 6,000 feet. During phase one of the British Airways’ new Airbus rollout, the operator explains its first A350 aircraft will start short-haul flying between London and Madrid to allow the airline’s teams to focus on developing customer service delivery and to familiarize cabin crew with the aircraft layout. At the start of 2020, phase three will begin which will see British Airways rolling out its Club Suite on more long-haul aircraft across the network.